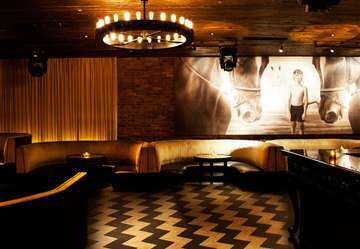 1OAK LOUNGE CHRISTMAS EVE PARTY – 1OAK NYC - HOTTEST CHRISTMAS EVE 1OAK MEATPACKING PARTY NYC! CHRISTMAS EVE PARTY! 1 DAY - 1 EXCLUSIVE EVENT! HOTTEST PARTY IN MEATPACKING AT THE 1OAK NEW YORK CITY MUSIC BY NYC HOTTEST DJS & MORE AT 1OAK CHRISTMAS EVE IN NYC IN MEATPACKING! CHRISTMAS EVE IN 1OAK NYC PARTY! TICKET EVENT 21 & OVER! CHRISTMAS EVE 1OAK PARTY 1OAK IN MEATPACKING NEW YORK CITY, NY! CAPACITY EXPECTED! BUY YOUR TICKETS NOW FOR JUST 20$! 1Oak NYC Christmas Eve Dress Code: Dress to Impress, Guys Shoes with a button up or collar shirt! Ladies Shoes a must, no sneakers, flats etc. 1Oak NYC Christmas Eve Music Type: Best of Hip-Hop, Reggae, EDM, Latin, House, Dance, Top 40 & more! 1Oak Lounge NYC Christmas Eve Bottle Packages: Bottle Prices available by request.